Statistics speak to the importance of families in business together. According to the U.S. Census Bureau, 90 percent of the nation’s businesses are family-owned or controlled. And family businesses provide half of the jobs in Europe and America, according to Ernst & Young. 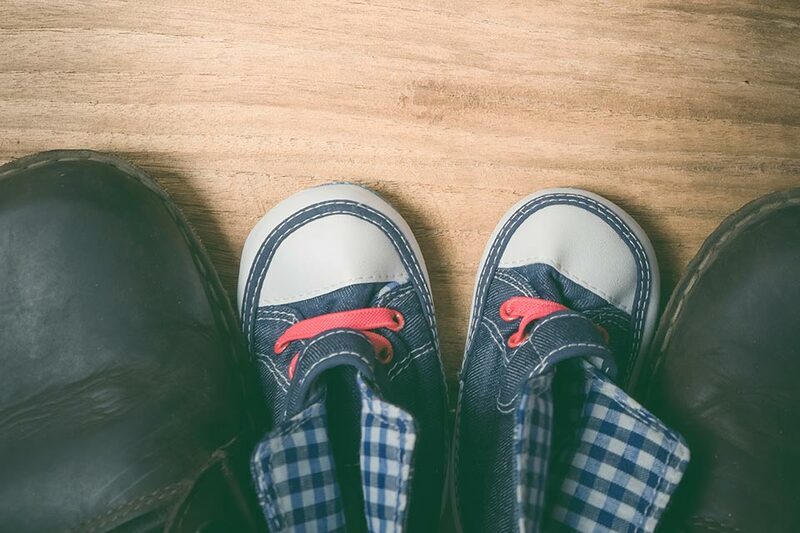 Starting a family business is a daring thing to do, as during the early years family members sacrifice by working for free or at a lower rate than the external job market would pay for similar skills (Jennifer Xue, Silicone Valley Globe). However, as these local Flathead Valley businesses say, the rewards of working together are worth the challenges. 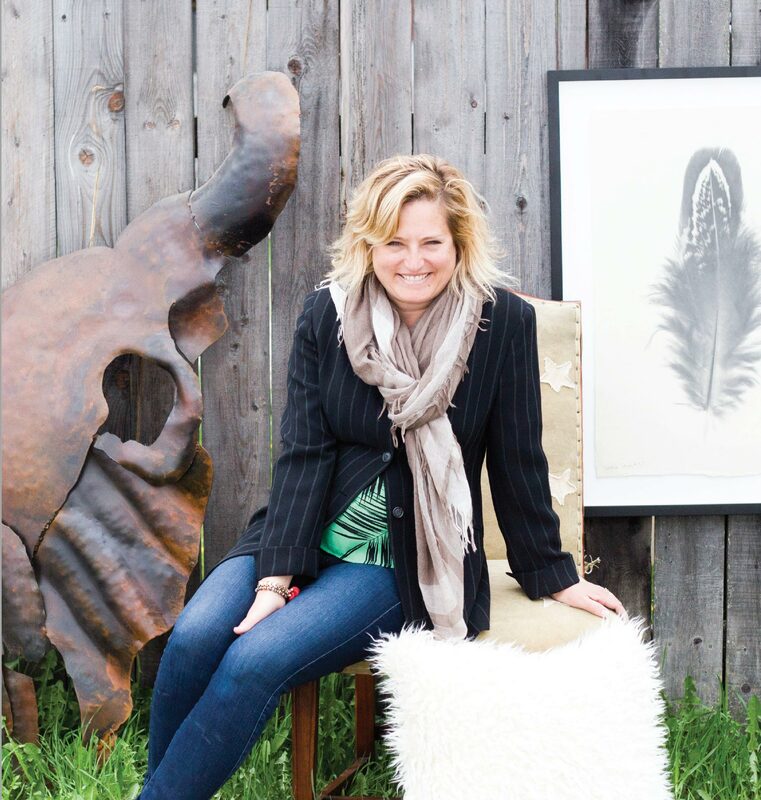 The West lured Hunter Dominick first to the resort areas of Colorado and then to Whitefish, where she owns and operates Hunter & Company Interior Design and her furniture and accessory gallery. However, Hunter traces her creative roots and interest in design to her family roots in southwest Virginia and her father’s design business. “Do what you love, and the rest will follow.” That’s the family message Hunter remembers hearing while growing up, and in many ways it has been the theme of her career. Hunter has always been creative and artistic. She paints, blows glass, and in all ways is a creative artist. One of her early childhood memories is trying to improve upon Scalamandré wallpaper with her colored markers. By the age of seven, Hunter knew she wanted to be an interior designer. “I was just passionate about art, but even then there must have been a streak of practicality,” she recalls. Also, she had the example of her parents. Hunter describes her father, Mickey Nelson, as a designer who dares to take on unusual projects, projects like the interior of a railroad car. Mickey Nelson attended college first under a football scholarship, and then after he got injured, he transferred to Virginia Commonwealth University in Richmond and shifted his attention to the university’s design school, where he met and married another design student, Hunter’s mother, Nancy. Nancy went on to teach children, and Mickey opened his own design studio and showroom. It’s a big step to start a business, but Hunter doesn’t recall ever being overwhelmed. “I really never thought that it wouldn’t work out. I started in a smaller location and made the next steps, in retrospect the right steps, to a larger office and the showroom.” Also in retrospect, Hunter sees influences from her father in her business. “There are some architects and designers who have a vision, and their attitude toward the client is ‘take it or leave it.’ My father’s approach is that all decisions are made specifically toward and because of the client. The client determines the platform, purpose, and reason. I follow his approach: I make all selections based on the client.” Interestingly, Hunter also finds that her taste is still very similar to her father’s. Other parental influences are at work, as well. Hunter describes her mother as a natural teacher, and many who know her and have worked with her will use the same description of Hunter as a down-to-earth natural teacher. And does Hunter have any advice for other families considering going into business together? “Go with your instincts and sign all your own checks,” she says with a laugh. 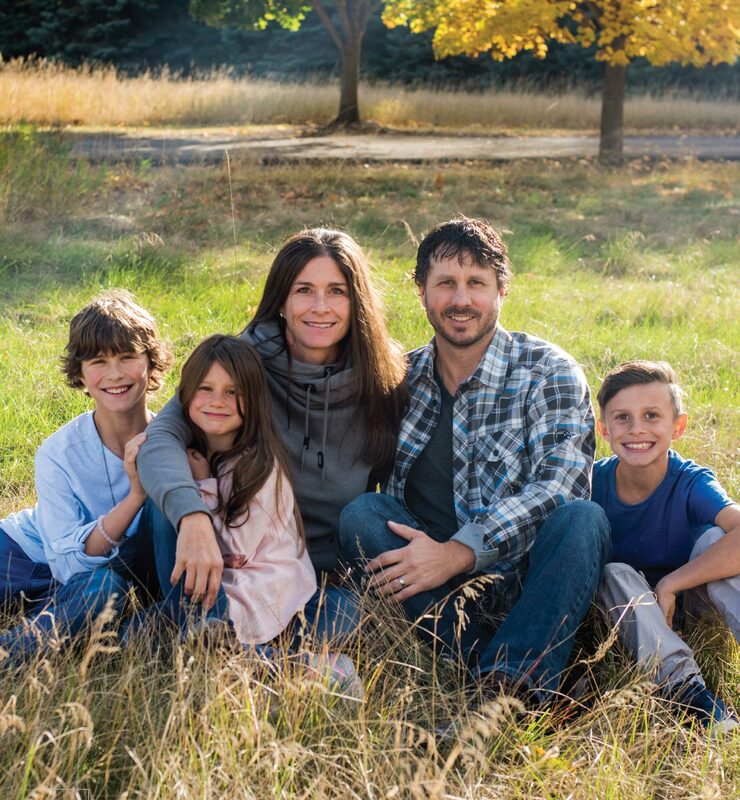 Kelcey and Tawnya Bingham sum up their approach to working as “hands on and hearts in.” They are a husband and wife partnership and they own Bear Mountain Builders, a firm that is making its mark in the Flathead Valley with high-end, high-profile homes, as well as local family homes. The dynamic, high-energy couple met when Tawnya, a fastpitch softball player, attended Western Washington University in Bellingham, Washington, on an athletic scholarship. Tawnya explains that after graduation, she worked in Ferndale, Washington, at the Conoco Phillips Refinery as an engineer, firefighter, and high-angle rescue technician, a highly specialized niche for EMTs respected for the extreme focus it requires as well as the inherent danger. Kelcey attended the University of Washington, where he worked his way through college by operating his own painting, landscaping, and fence building company during the summers. “I grew up on a small farm and learned the value of hard work from my parents and extended family. My grandfather had built a large, successful electrical contracting company, and I spent a lot of time learning from him. I took this knowledge and applied it to starting up my own business,” Kelcey recalls. For a while, the two built log and timber frame homes on the San Juan Islands and in the Cascades, but they soon recognized that they wanted to find a better place to live and raise their family. 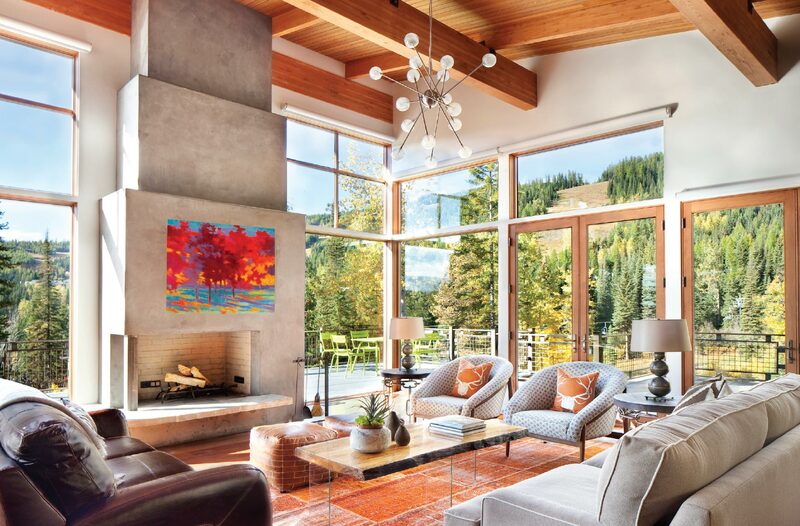 In 2001, they made the move and established Bear Mountain Builders in Whitefish. By working for themselves, Tawnya and Kelcey have the opportunity to do business in a manner that feels right for them, which is consistent with their family principles. “We were both raised in families that understood the value of a promise, the necessity of hard work, and the bond of a handshake. We take great pride in fulfilling these principles at Bear Mountain Builders and teaching them to our children,” says Kelcey. The Binghams have also learned about the importance of drawing healthy boundaries between work and family, especially now that they have children. “Our advice for other couples who plan on working together is that they should set parameters on discussing work issues at home. Our rule is to focus only on family after 6:00pm and not to discuss work before coffee in the morning,” says Tawnya. Kelcey notes that while their lives may be centered on work, they take time to enjoy themselves. “We definitely follow the adage to both work hard and play hard,” he says. Summer finds the family outdoors enjoying the incredible Montana scenery while river rafting and camping. In the winter they take advantage of the abundant snow and ski on weekends. “We have a traditional family outing of night skiing at Friday Nights Under the Lights,” Kelcey says, sounding like someone who has found his perfect home in the Flathead Valley.